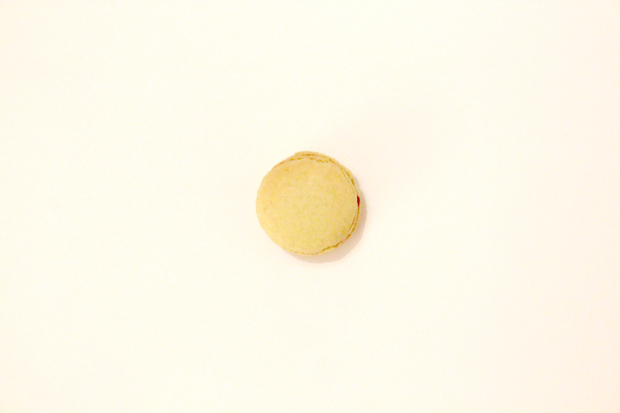 A refreshing combo for macaron n°16. In the biscuit shells, I’ve added a bit of green tea powder, also known as matcha. The filling is a raspberry jam. It’s not the first time I’ve mixed those two flavours. And I think it works great! Take a look at my green tea and raspberry tartlets.